Microalgae Harvesting, AlgEternal Technologies LLC. 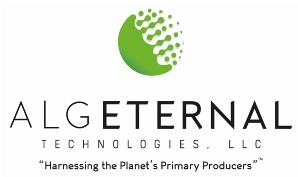 CEOCFO: Mr. Ramjohn, how is AlgEternal Technologies, LLC harnessing the planet�s primary producers? Mr. Ramjohn: Our tag line �Harnessing the Planet�s Primary Producers� recognizes that microalgae are the most important organisms on the planet; without microalgae humans could not be here. They were critical to the creation of the conditions necessary to support our life form and they continue to support ecosystem services such as oxygen production, soil health, water purification, and carbon capture, and they remain the primary producers in any ecosystem in which they occur. We get microalgae to do what they have been doing for over 2.5 billion years, faster, more efficiently, and with greater environmental, social and economic benefits for humankind. We grow microalgae in our patented Vertical Growth Modules� and extract products that can reduce and eventually displace fossil hydrocarbons for all non-fuel products. We also intend to apply microalgae for ecosystem services such as Carbon Capture and Use, Wastewater Treatment, and Nutrient Recycling. We are not looking at biofuels at all�the scale required to produce biofuels as a commodity is simply uneconomical; added to that is the fact that we are witnessing the death of the Internal Combustion Engine, which means that a significant market for biofuels will disappear. We focus instead on the downstream petrochemicals and products can be made from microalgae. The only difference between living algae and fossil hydrocarbons is time, temperature, and pressure. Almost all the petroleum hydrocarbons that we have now were originally plant-based materials. Microalgae, over 2.7 billion years have lived and died in the waters on the planet, and their biomass sank to the bottom, were sedimented and subjected to pressures and temperatures over geologic time that converted them into fossil hydrocarbons. This means that algae have the same chemical components as petroleum�whatever we can make from petroleum can be made from algae. CEOCFO: When did you recognize the ability and the potential to make use of microalgae? Mr. Ramjohn: The genesis was an undergraduate Botany course when a professor, Dr. Reid Wiseman, came into class on the first day, drew a circle on the board, and taught about that circle for most of the semester. That circle represented an algal cell. He spoke to us at length about what algae had done for the planet and, by extension, for human beings as a species. That information was lodged in my head for quite some time, dormant until several years later when I was working for the Environmental Management Authority in Trinidad and Tobago, and I was put on a committee to look at alternative and renewable energy sources. My mind went to algae, as a biofuel because I had known about algal biofuels as a third-generation biofuel. Being a third-generation biofuel means that 1) using algae for biofuels does not reduce food available for human consumption; 2) it does not use arable land�you can grow it in deserts or at sea; and 3) it does not require potable water�you can grow algae in seawater, brackish water or waste water. Therefore, I really looked at algae initially as a potential biofuel source but soon disabused myself of that notion. Mr. Ramjohn: The National Renewable Energy Laboratory of the US Department of Energy, through their Aquatic Species Program from 1978 to 1996, pumped a lot of money into research for algal biofuels. In peer-reviewed papers on algal biofuels, I always found that there was one paragraph in those papers that spoke about, co-products or by products. While attempting to produce algal biofuels, researchers were discovering/extracting other substances, e.g. proteins, carbohydrates, omega-3 fatty acids�eicosapentaenoic acid (EPA) and docosahexaenoic acid (DHA), beta carotenes and antioxidants. They found substances produced by algae that possessed medicinal properties, e.g. antioxidant, anticancer, antiviral, and anti-immunodeficiency. These �by-the-way� discoveries were documented as if to say, �Oh by the way, while we were looking for the target biofuels, we discovered these other substances.� It occurred to me, �Maybe this little paragraph has more value in it than the rest of the entire paper!� I started to focus then on the �co-products.� If you could get a much higher value out of those products than biofuels then it made no sense to produce a commodity that could sell for $10 dollars a gallon when you could make something that could sell for two hundred dollars a gallon, or $90 for 30 mL, which is what we are doing right now. Perhaps the most compelling reason not to pursue biofuels is the fact that after decades of research and millions of dollars of investment we are yet to see a single successful commercial algal biofuel enterprise. Another compelling reason is the imminent death of the Internal Combustion Engine; the electric motor is making a comeback because of vastly improved battery technology, highly efficient electric motors, and the availability of renewable energy for charging. Where is your market for biofuels when there are no more ICE vehicles? CEOCFO: What is different about AlgEternal�s approach? Mr. Ramjohn: We are not focused on pure research and development for its own sake and we are not attempting at the outset to produce sophisticated, expensive, products that rely on huge amounts of capital investment and take decades to produce revenue. Our R&D must positively benefit our revenue generation ability, and our target products are carefully selected for ease of production and have ready markets. I approach this industry as an entrepreneur, not just as a scientist. We must produce revenue and earn our keep as quickly as possible from sales rather than continued reliance on investment capital. I place immense emphasis on protecting our investors and ensuring a return on their investment. Certainly we intend to be good corporate citizens and to sustainably fix the significant environmental challenges facing our species, but AlgEternal is a for-profit business. We apply our technology to produce goods and services that can make money while balancing the triple bottom line. CEOCFO: What is your technology? Mr. Ramjohn: We are growing microalgae in our patented Vertical Growth Module (VGM�) system that allows us to have a much higher crop density, in a closed loop that allows us to control all growth parameters, with low cost for energy and other inputs, and high efficiency and production stability. The way I like to describe us is that we are high-tech farmers. That is because we are growing a plant; it is an aquatic plant, but it is a plant none the less. We can produce more of it in the same area than any other technology that exists. Because our system is closed loop, we have very little loss of the water that we use to grow the algae. We re-circulate as much water as we can with less than five percent water loss. Being a closed system, it is also less susceptible to contamination. Our VGMs are also several orders of magnitude less costly to build and operate than other growth systems. But it�s more than just our technology; it�s our experience and expertise in producing algae at scale. We have encountered and overcome many of the emergent problems when moving from laboratory to commercial scale. In the algae industry you quickly recognize that what applies at laboratory scale almost never applies at commercial scale. And you must remain vigilant and agile enough to respond to new threats to production. CEOCFO: Are people aware? Do people understand that what you are producing is the equivalent, maybe better, than what is available in other means? 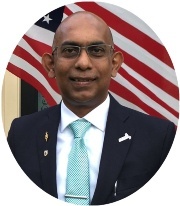 Mr. Ramjohn: Awareness is very low�AlgEternal has not been very high profile, although that is changing daily with the new strategic plan being implemented. The most prevalent perception is that algae can only produce biofuels. We are trying to change that perception, to get the public to understand that there are many more opportunities with algae than biofuels�all better from an economic perspective. We are starting with two products, which I consider to be the �low hanging fruits� that are easy to produce, have ready markets, and make no claims to cure any ailments. Therefore, they can go to market without having to go through any certifications or regulatory mechanisms, because we are not producing a fertilizer, we are not producing a pharmaceutical, we are not producing a nutritional product for human consumption. Our first two products are relatively easy to make and even though they are not the really high value products that can be made from microalgae they still earn revenue, which is the goal for us�cash flow is king. People will use these products because they are safe, environmentally friendly, and most importantly, they work. Our job is to help people to learn and understand the potential of algae. CEOCFO: What have you started with? Mr. Ramjohn: We started with a soil amendment, trade name �Agtivate��. This is a product that goes into soil and functions as the base of the food web in soil, supporting the microbial ecosystem in soils, and therefore starts to regenerate and rejuvenate the living components of the soil ecosystem. If you understand how soil works, soil comprises living and non-living components. If you do not have the living components in soil, then you have dirt. Agtivate� has been tested extensively at Texas A&M on rice, corn, cotton, hay, and soon peanuts. Texas A&M has published results of three years� trials on rice, which report that with Agtivate� you can reduce standard nitrogen by as much as 75% and still see an increased yield of 900 pounds per acre. The other product that we have launched is a line of skin care products, trade name �AlgAllure� AlgaRiche�� containing an extract from marine red algae, trade name �PhycoDerm��. The extract is used by the organism to protect itself from drying out, from the harshness of the sun�s rays and protect it from attacks by other organisms and diseases. These benefits are well documented in the medical research literature. We extract this substance, put it into our skin care collection, and it transfers the many known benefits in a topical application on human skin. AlgAllure has been receiving excellent reviews from early users with 8 out of 10 women reporting good to remarkable results after only 2 weeks of use. CEOCFO: Where does the OriginClear Smart Algae Harvester come in to play? How has that made a change for you? Mr. Ramjohn: We are a vertically integrated company that goes from a raw material to a finished product for sale. There are six basic components of any successful algae industry business. Step one: identify the algae you want to grow and why; step two, cultivate the algae at laboratory scale; thirdly you must grow at commercial scale. The fourth step is harvesting the algae; you must get the algae out of the liquid medium. The two rate-determining steps in any algae business is cultivation at commercial scale and getting the algae biomass out of the water. No matter how dense your culture looks, it is still more than ninety percent water. Getting that ten percent of algal biomass out of the liquid is where the OriginClear technology comes into play�dewatering the algae. We have found that there is nothing else that works as well as OriginClear Technology to get living cells out of the medium. The fifth step is manufacturing the product from the dewatered biomass and the sixth step is marketing and selling the product. There are emergent problems going from laboratory scale to commercial scale. We have overcome these hurdles through our patented technologies and process trade secrets. Combining our patented growth technology with the OriginClear technology, which we are now licensed to produce, gives us significant competitive and comparative advantage. CEOCFO: What has been the reception to your first offerings in terms of product sales? Mr. Ramjohn: Very positive even though we have not conducted a massive marketing campaign. Our two product lines are very much in demand. Farmers are keen on getting a product that increases their yields and quality, while reducing fertilizer costs. The growing natural health and beauty market wants products that contain natural ingredients such as ours, especially products that work as well as ours. We�re focused on two major goals: 1) earn as much revenue from product sales as we can to support operations and get cash flow to where we no longer rely on infusion of investment to cover working capital; and 2) secure the capital investment needed to increase production capacity to commercial levels. We launched the skin care collection on May 4th, 2018 and already the skin care sales have exceeded the total of the soil amendment sales and we have been selling soil amendments since March 2018. In less than a week we surpassed the soil amendment sales with the skin care line. However, to be fair to Agtivate, we have not had the level of production that we needed to push it further. CEOCFO: How do you plan to increase sales? Mr. Ramjohn: We have been relying on word of mouth and on getting the message out through direct interaction. I make a lot of appearances at local groups and talk about the company and the products. We are also leveraging social media with very active Facebook pages and Twitter and Instagram accounts. We also have three websites; one for the parent company, AlgEternal Technologies LLC, at www.algeternal.com, and one each for the two products: Agtivate at www.agtivate.com, and AlgAllure at www.algallure.com. We will initiate a Google AdWords Pay-Per-Click campaign and Facebook boosts in conjunction with Search Engine Optimization. I can say that we will be launching the AlgAllure AlgaRiche line in Trinidad and Tobago on June 9th, 2018, which will be our first international offering. I expect AlgAllure to be the major revenue earner for us. CEOCFO: Can you ramp up quickly on Agtivate and AlgAllure if needed? Mr. Ramjohn: We will need significant capital infusion to be able to quickly increase productive capacity in the event of skyrocketing demand. We plan to establish steady positive cash flow and profits that will make us attractive to investors and with the right investment we can quickly mobilize and construct additional production units to meet demands. Our target is to raise $3.5 million to fund our capital expenditure and cover operating costs for 12 months to achieve commercial scale. In the absence of a major capital infusion, we will continue to expand slowly, controlling demand, and growing organically by careful reinvestment of proceeds of sales back into the company. CEOCFO: What is the interest in AlgEternal Technologies in the investment community? Mr. Ramjohn: AlgEternal is funded by 16 private equity investors currently, all but one from Texas. We need new capital infusion to increase production and sales. We have not yet sought any large venture capital partners simply because we were not at a stage that would attract their interest. We also maintain that we would prefer investors that are vested in our core philosophies of Conscious Capitalism and doing good while doing well. We have identified two business models to achieve the expansion and growth we seek; one is the $3 million equity investment into AlgEternal described before, and the other is through Joint Ventures with other entities that will increase our production capacity and share revenue with the JV Partners. The algae industry is less than 80 years old, young by any stretch of the imagination. AlgEternal itself is very young but has significant achievements with relatively little investment; we have patented technology, considerable trade secrets and Intellectual Property, and two product lines generating revenue, all with less than $4 million invested to date. Most investors do not know the real potential and the diverse economic, environmental and social benefits from an algae-based business enterprise such as ours. The possible products and services from algae are not only essential and critical to preserving the planet�s ability to have us live on it, they can be the basis of truly sustainable, lucrative economic activity with low environmental impacts compared to oil and gas. Imagine being able to make lots of money, create social benefits, while doing no harm to our environment; this ought to be enough incentive for any investor. CEOCFO: Why AlgEternal, Why Now? Mr. Ramjohn: Even when we don�t need petroleum for liquid fuels, we will still need all the other downstream products made from petrochemicals, which algae can make. But beyond this, we are faced with several unique challenges such as: climate change; global population growth; water and air pollution; peak phosphate; and depleting natural resources. Algae can address these significant challenges in a way that petroleum cannot. Take soil, a natural resource that most people do not think about, a 2012 report by Prof. John Crawford, estimates that we have less than 60 years� worth of topsoil left globally. Decades of harmful farming practices, and adding chemicals to soil have destroyed soils. Chemicals do not stay in soil. They get washed out and pollute our ground and surface water. In fact, when that happens what do we see in nature? An algal bloom. People blame the algae, but the algae are only responding to human activities�algae do what nature intended them to do. By using Agtivate you can return soil to its natural health with reduced use of fertilizers. If you have healthy soil you will be able to grow more food to feed a growing population while reducing pollution. Climate change is another example, whether or not you believe that climate change is caused by anthropogenic forces, the fact is that the data demonstrate that global warming and climate change are real. Is global warming happening? Yes. Do we know why it is happening? For every argument that says it is human induced there might be another argument that says no. But the data clearly show elevated temperatures across the world. Unfortunately, people mistake �global warming� for �climate change� and vice versa but these are completely different phenomena. Global warming is a rise in atmospheric and surface temperature because of increased greenhouse gases, but climate change does not always have to be a rise in temperature. Climate change could be places getting colder or places getting hotter, it could be places getting more rain or places getting less rain. It is a change in the climate that is driven by change in the heat budget of the planet. How do we deal with that? We know that there are other greenhouse gases more potent than carbon dioxide; methane or sulfur hexafluoride are way more powerful GHGs than carbon dioxide. However, carbon dioxide is the one greenhouse gas that can be reduced by using algae for carbon capture and use. Roughly 2.7 billion years ago cyanobacteria started using carbon dioxide and water with energy from sunlight to create glucose molecules and release oxygen as a waste product, and they do it faster, better and more efficiently than any other plant. Algae can absorb much of the excess CO2 in the atmosphere and sequester it for other beneficial use, reducing the concentration of carbon dioxide in the atmosphere. These are just a few of the examples of the application of algae to solving major challenges facing humans. If we do not change our patterns of production and consumption, cease our profligate use of natural resources and emissions of greenhouse gases, then we will destroy the planet�s ability to support our life forms. Earth will become too hot, we will have no potable water, no arable soil, no mineral resources, and no oxygen. Algae are our best chance to reverse the damage we have done. CEOCFO: Where do you see AlgEternal in the future? Mr. Ramjohn: AlgEternal is preparing for a post-petroleum world, a world that must transition to another economic platform sooner or later, and we believe that algae are the natural successor to fossil hydrocarbons. We see algae as "THE" solution, not "a" solution--algae represent our best opportunity to ensure that the planet remains hospitable to us as a species. We are competing with very mature, entrenched commercial activity that has already achieved economies of scale, i.e. the oil and gas industry and the downstream chemicals that flow from those commodities. But what you must think of is the fact that we will not have oil and gas for an infinite period. It will become harder and harder to extract it from the ground, but petroleum is not going away any time soon. Not for another fifty years, not for another hundred years. We have a lot of oil and gas still left in the ground. The idea of �peak oil� has been around for a long time, and previous predictions have been proven wrong. Just look at the South American basin now with this recent mega find off Guyana, in South America. In fact, I predict the Internal Combustion Engine will disappear long before we run out of petroleum as we make the quantum shift back to electric motor vehicles. I am not trying to compete with petroleum. We cannot compete with Nature for the natural resources and ecosystem services Nature provides; petroleum is no exception. Petroleum was created by natural processes over billions of years�that is at a scale we can never recreate with modern technology in our lifetimes. That level of production is beyond our capacity. But when fossil hydrocarbons run out, AlgEternal and other companies like us will be there to fill the gap. We are positioning ourselves to be leaders in an industry that will be the next global economic platform, the next economic evolutionary stage of human existence.